It's that time of year again when the party invites start flowing in and we all start looking for holiday and hostess gift ideas. 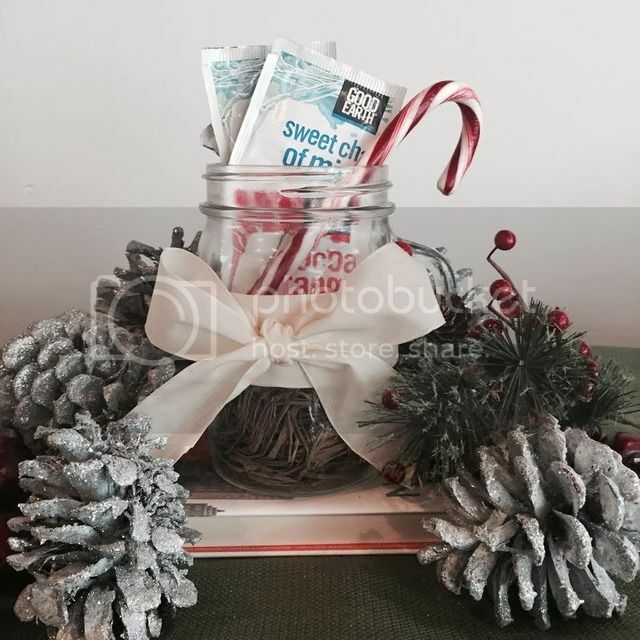 Depending on the person you are giving the gift of tea too, you can make it a themed basket! Looking for a hint of citrus, add Pomegranate Burst, Matcha Maker and Sweet and Spicy. Add some tangerines/oranges to the basket and a cute orange mug! If you want to give the gift of iced tea, purchase a cute plastic tumbler with plastic straw and add Mango Me Crazy, Citrus Kiss or Starry Chai. When it is cold outside, add a cute scarf to a basket with a thermal insulated mug. The perfect teas to add are Sweetly Twisted, Wild Chaild and Sweet and Spicy! Curl up on the couch gift basket would be cute with a blanket and a good book. Add the following teas: Tropical Rush, Sweet Chai of Mine and Cocoa Tango. Good Earth® Tea, one of America’s first herbal tea companies, has set out to present tea in a way that has never been done before. Known for bold flavors and intriguing taste profiles, Good Earth® Tea embodies the adventurous spirit of the company’s West Coast roots in wondrous fusions made from ingredients found around the globe. Are you dreaming of palm trees and sandy beaches? Take a sip on the sweeter side with Tropical Rush. Feeling spirited enough to take a chance? Heat up your taste buds with some Cocoa Tango. With fourteen bold and exciting blends, Good Earth® now has a tea for everyone; for every time of the year. Tea has always had a reputation for being a cold weather beverage, but Good Earth® is challenging that by blending teas for all seasons. Presenting: Cocoa Tango, cozier than a blanket on a cold winter’s morning. Mango Me Crazy, a splash of spring to bring the blush back to your cheeks. Citrus Kiss, unbelievably refreshing – both hot or poured over ice on a sweltering summer’s day. And Sweet & Spicy, the flavor of crackling leaves falling through crisp air. One sip of Starry Chai ™ and you’ll look heavenward as the sweet, luscious flavor makes your taste buds twinkle. Exotic chai spices are masterfully blended with a surprise touch of cherry flavor to create a lusciously organic tea experience. This is another great Chai tea, you get hints of cinnamon, nutmeg as well cherry. A great teas to curl up with on a cool fall night! Take a step back for a little “you” time. With smooth vanilla and decadent maple flavor infused with traditional chai spices, Sweet Chai of Mine™ is the perfect way to do just that. I am new to the world of Chai and this was a great introduction! The tea had hints of cinnamon, natural vanilla flavor and other flavors like nutmeg & cloves. It is the perfect tea for fall! It doesn’t matter if it’s Monday morning or Thursday night, it’s okay to bring out the Wild Chaild™. With tantalizing chai spices and smooth caramel flavor, this curiously exotic tea gives you the sweet you need with just the right amount of spice to make whatever you’re doing more interesting. Tropical Rush™ Organic is just what you need for a staycation. Made from organic, natural ingredients blended with flavors reminiscent of a tropical island, this green tea can be your quick escape to the sweeter side. Matcha Maker™ Green Tea is blended with goodness of matcha and bright bursts of citrus flavors, this tea flavor is perfectly paired. For times when you need a lift and not a jolt, Citrus Kiss™ is the wake-me up you’re looking for. Bright flavor splurges of citrus and lemongrass play kissy-face with green tea, leaving you to invigorate more than just your taste buds. Available in original and caffeine free. Break things up with the tingling intensity of Pomegranate Burst™. Blended with the goodness of green tea and the unexpected tart flavors of pomegranate and cherry, one sip will be enough to shake up an ordinary day. Sweetly Twisted™ keeps you guessing from the start. This sweet treat takes a tangy left turn to an unexpectedly refreshing place, sending your taste buds on an impromptu getaway. Hope you have some vacation days left. It’s the little things in life that make us smile. Like the crazy, happy feeling you get with a first peek of sun or toes in the sand. Or in this case, some Mango Me Crazy™ tea. Blended with a bold variety of breezy fruit flavors, this white tea will have you feeling like summer is just around the corner whenever you enjoy it. Our signature blend and the inspiration behind Tea Untamed, Sweet & Spicy® takes notes of cinnamon and tangles them up with sweet burst of orange. The result is a surprisingly satisfying combination you can savor hot or cold. Available in original, organic caffeine free, and caffeine free. This tea is amazing. I used to make an orange tea as a gift for friends. I had not had it in ages and this brought back so many memories. It is such a perfect mixture of cinnamon and sweet orange, perfect for those cold nights and when you are not feeling well! Enjoy the sweet heat combined with natural cocoa flavor with Cocoa Tango®. The unpredictable flavors of cocoa with the heat of chili peppers, makes this a tea experience that will leave you breathing heavy with satisfaction and wanting more. One of the first American herbal companies and a leader in specialty tea, Good Earth® Tea brings authentic, full-flavored teas from around the world to the U.S. via a wide variety of unique blends. 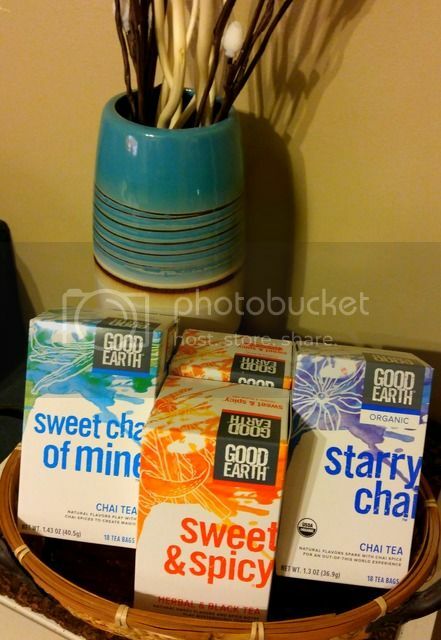 Good Earth® Tea is part of the Tata Global Beverages Group, the second largest tea company in the world, which also includes Eight O'Clock Coffee and Tetley Tea. On Facebook: www.facebook.com/GoodEarthTea. On Twitter: @GoodEarthTea. For more information, please visit www.goodearth.com.